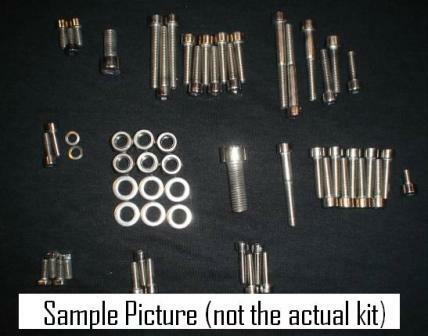 CZ stainless engine screw kit - fits 1965 and up aircooled CZ 250 360 380 400 MX and ENDURO motors - side pipe, twin pipe, falta, etc. may fit other models. All bolts hand polished stainless. This kit is all socket allen heads for ease of use. All allen heads have knurls removed. The whole kit is sorted, labeled and includes instructions.